RYSE; SON OF ROME. | MOVIE MUSIC INTERNATIONAL. MMI. / CINEMA AND TELEVISION FOCUS. (formely Movie music Italiano). 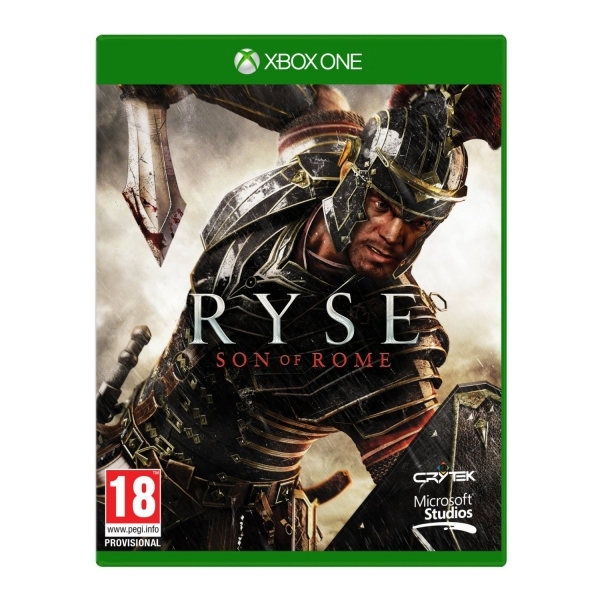 RYSE; SON OF ROME, has a very epic/exciting sounding score which is brimming with proud and commanding musical themes. I am always amazed at the quality of music that is being written for games in recent times, in fact I would go as far as to say that many of the scores that are written for games are in many ways superior to some film scores, the composers of game music are at times sadly overlooked and even dismissed by collectors of film music but game music for me is just an extension of film music and therefore should be treated as one and the same and be considered and respected in the same way as music for motion pictures. As games become more sophisticated and realistic and continue to develop so does the use of music within them. RYSE;SON OF ROME is just one example, its thunderous and attractive thematic properties adding atmosphere, tension, drama and emotion to each new step of the game. Tilman Sillescu is just one of the composers who worked on this project and together with musical collaborators Borislav Slavov and Peter Antowski has created a score that is commanding and at the same time highly listenable, for me personally the music evokes the raw power that composer Jerry Goldsmith fashioned at times when he wrote for action or epic story lines, such as FIRST KNIGHT, CASSANDRA CROSSING,TOTAL RECALL, and THE WIND AND THE LION. The score contains powerful percussive lines that act as an impressive background to driving strings, flyaway woodwinds and growling turbulent sounding brass which are carried along by further use of strident strings, timpani and bolstered by synthetic support, added to this are a number of ethnic instruments which add a certain authenticity to the soundtracks overall sound, and at certain points it also has Hermannesque sounding strings which punctuate and enhance further brass stabs. But although this is a full on powerhouse work for the majority of its running time it still remains attractively and enticingly thematic. It is however not all action mode music as the soundtrack does contain a number of less effervescent sounding interludes that contribute a more settled atmosphere and add an attractively subdued and even calming and emotive persona to the work. The impressive orchestration plays an immense part to the works hard hitting impact, with rams horn entering into the equation at one point and although this is only a fleeting appearance it is sufficient to add an air of menace to the proceedings which is unsettling and chilling, also the introduction of the aforementioned ethnic instrumentation gives the score greater depth and seems to give it credence. I recommend this score without question or doubt and I hope that film music collectors who for what ever reasons are unwilling to give game music a place in their collection might be persuaded to take a listen to RYSE; SON OF ROME, because I know if they do they will be blown away by its epic sound, its quality compositions, its imaginative and innovative orchestrations and its sheer power. Ten out of ten for this one…. Previous PostLE FATICHE DI ERCOLE/ ERCOLE E LA REGINA DI LIDIA. (HERCULES and HERCULES UNCHAINED).Next PostPIERRE ADENOT. Lovely Web site, Stick to the great job. Thanks for your time!.